Each year we go to my sister’s house for Easter. She makes lunch/dinner, we hunt eggs, and many years there is an egg fight between siblings. I might be part of this egg fight. I might encourage this egg fight. Back up a second. Each year Lenny and I are shopping at the last-minute for Easter basket goodies. This year was not an exception. Let me tell you, it was slim pickings at Walmart. I may have freaked a little. While we were at Walmart I grabbed what I needed to make Crockpot Navy Beans and Ham as this would be my lovely contribution to Easter dinner. We are eating leftovers this week. Navy Beans and Ham over Rice. Yum. 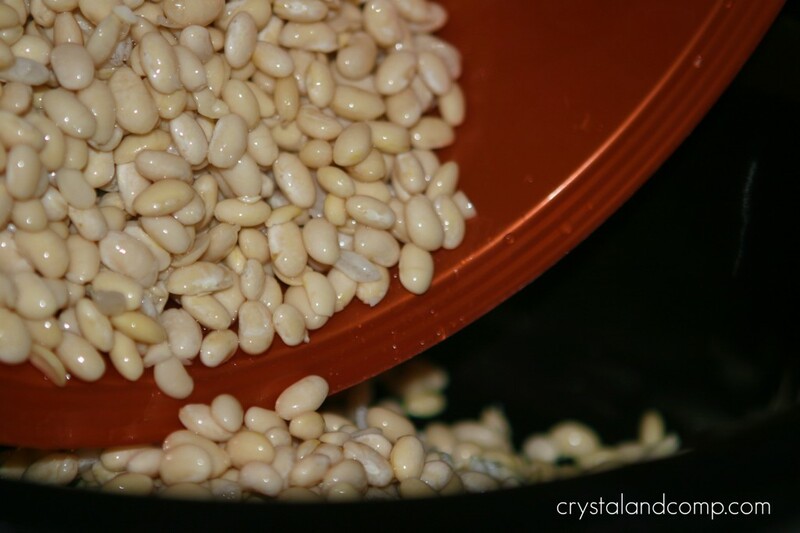 Here is how you make these yummy beans that are perfect for Easter dinner. 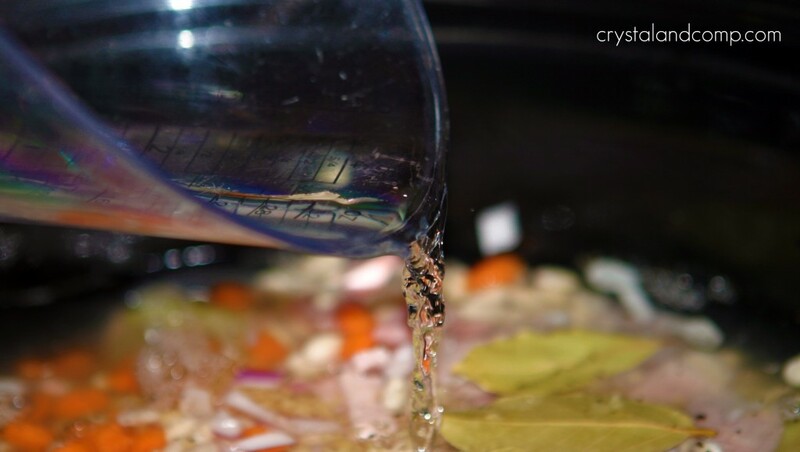 Soak your beans over night in water. The next morning, drain and rinse well. Pick out any bad beans. Dice one large carrot or about 6 baby carrots. 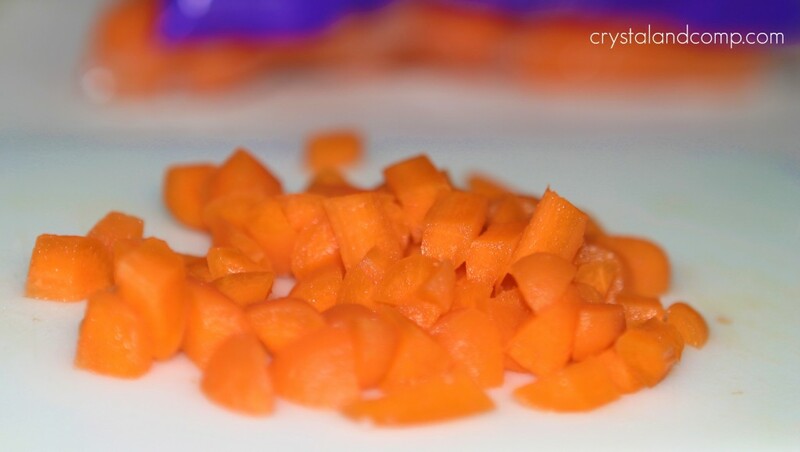 I used baby carrots because I already had them on hand. 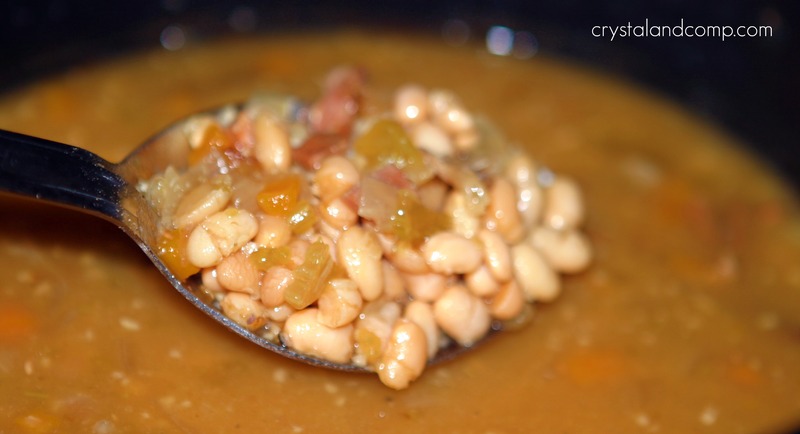 Dump the rinsed/soaked beans into the crockpot. Throw in the ham, onion, carrot and celery. Toss in the garlic, bay leaf, salt and pepper. Pop a lid on it and cook on high for 8 hours. I used this recipe as a template, but for a 6 qt crockpot, the cook time she suggests is not long enough. My beans took 8 hours on high before they were done. Just cook them on high all day. Once they are done, move them to the warm option to keep them heated. When they are done this is what they will look like. And your house will smell like a baked ham. Scoop the beans and ham into bowls. Serve with sandwiches or with your favorite Easter dinner. This is a perfect recipe for using up leftover Easter ham. 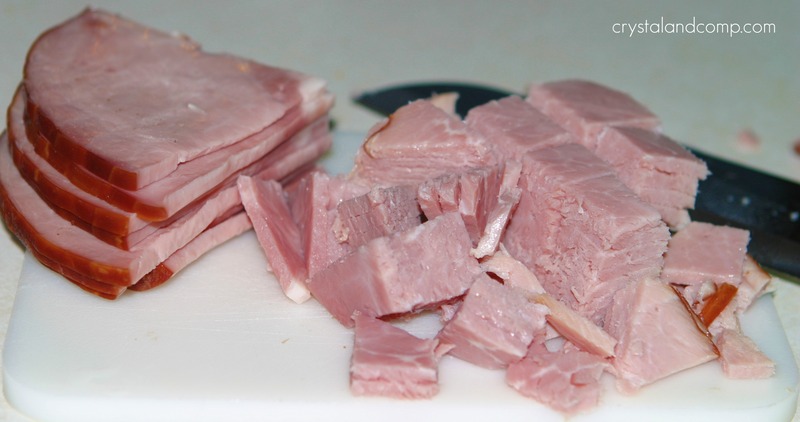 Want more ham recipes? 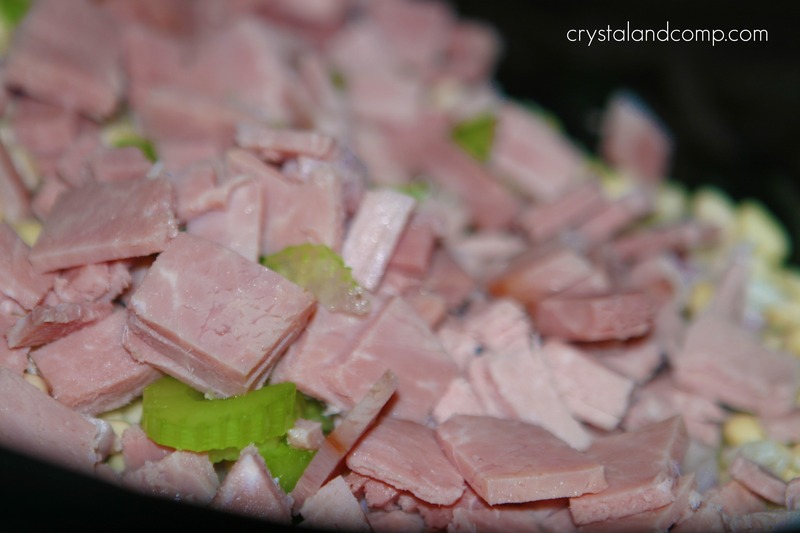 I share 20 ways to use Easter ham leftovers. 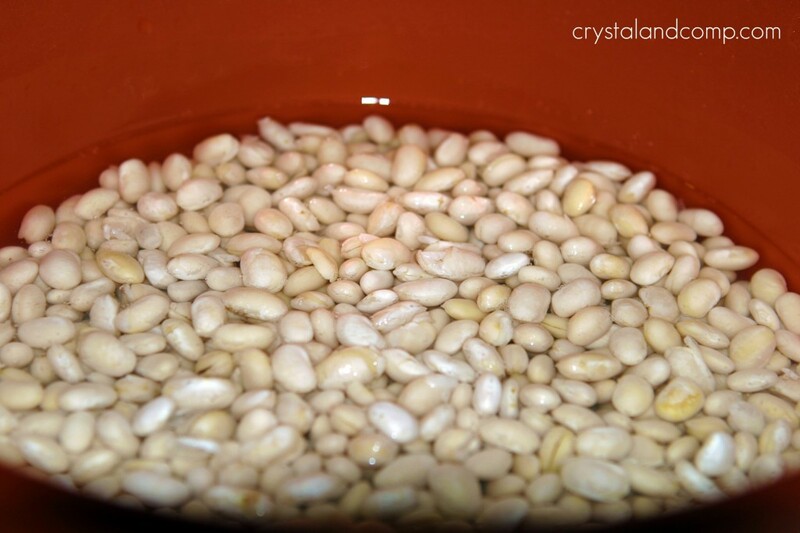 Soak your beans over night in water. The next morning, drain and rinse well. Pick out any bad beans. Add the water. Pop a lid on it and cook on high for 8 hours. Scoop the beans and ham into bowls and enjoy. For more delicious #TxBacon recipes follow @PetitJeanMeats on Twitter and on Facebook. Take at look at our entire shopping trip by checking out all of my shopping photos over on Google+. Love #TxBacon? Check out more Petit Jean Meats products over on their website. This shop has been part of a social shopper insights study for #CBias. All opinions stated are my own. 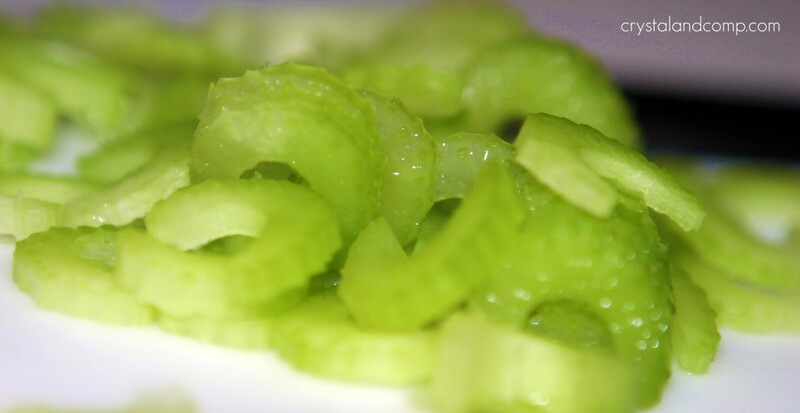 Thanks so much for this wonderful sounding recipe! Oh this reminds me of my grandmother. She used to make great navy beans and ham. I’ve never tried to make it but I’m printing this now. Thanks for sharing! Kim, my grandmother too was always cooking a pot of beans. Recipes like this remind me so much of my childhood. Sounds yummy-I love beans! 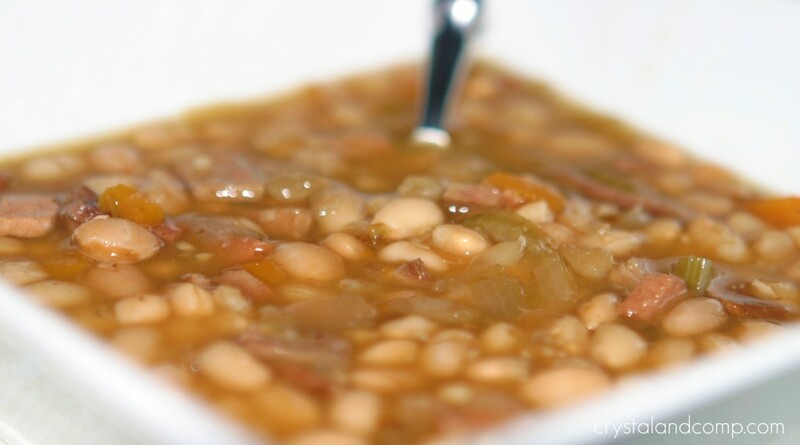 I love navy beans, but my family won’t eat them. These beans look really good. My husband loves when I make just beans and cornbread for dinner. I will have to give your recipe a try. Just pinned these, they look SO yummy! 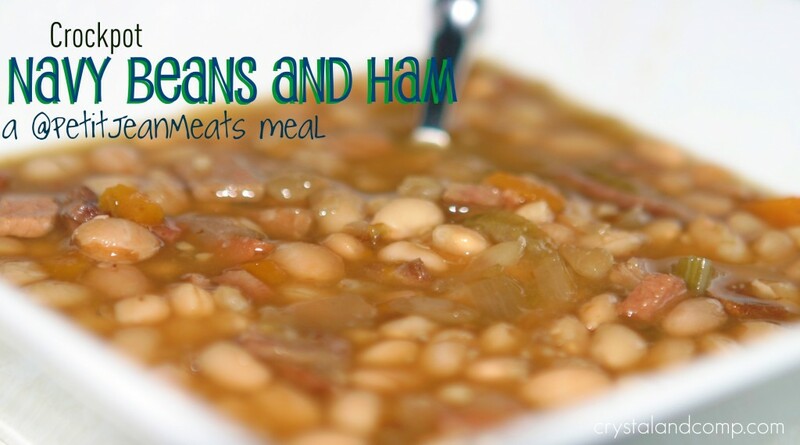 We just love Navy Beans and Ham, your recipe looks delicious and your photo’s are awesome! Hope you are having a great week end and thank you so much for sharing with Full Plate Thursday. Really great recipe! We really enjoyed it! Thank you for sharing it with us! 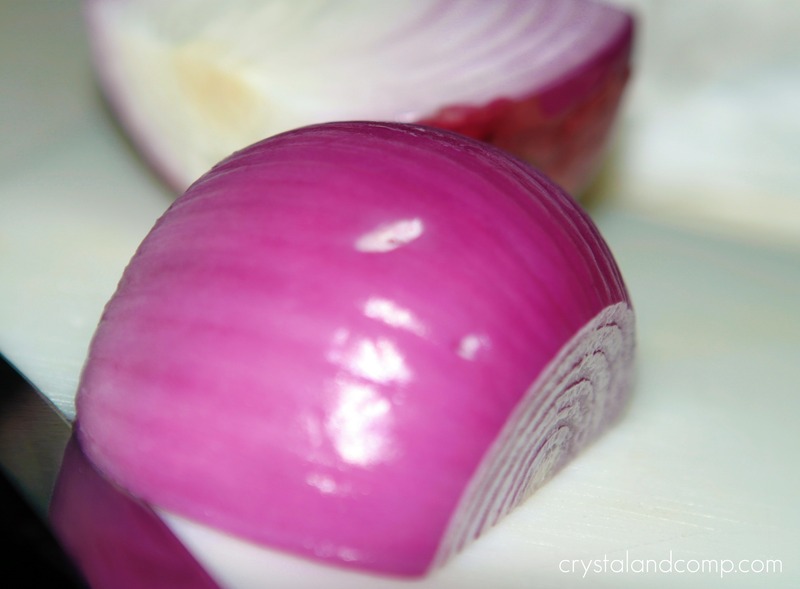 Can I substitute onion powder for onion, someone dislikes onion here? If so how much powder? 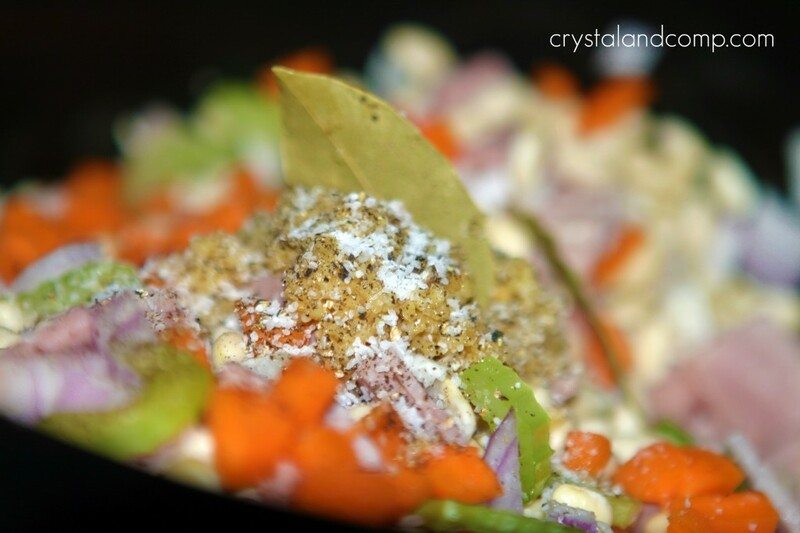 My husband made this soup a couple of days ago and it was delicious! And, even better the next day. Thank you for sharing your recipe. It’s a keeper! Sound so good. I am going to make this recipe for my husband. He has been asking about me making it for him. Thanks for the recipe. You made my day so much easier.